For anyone not a part of the Messenger beta program from Facebook, your app should receive an update today that includes a revamped UI. 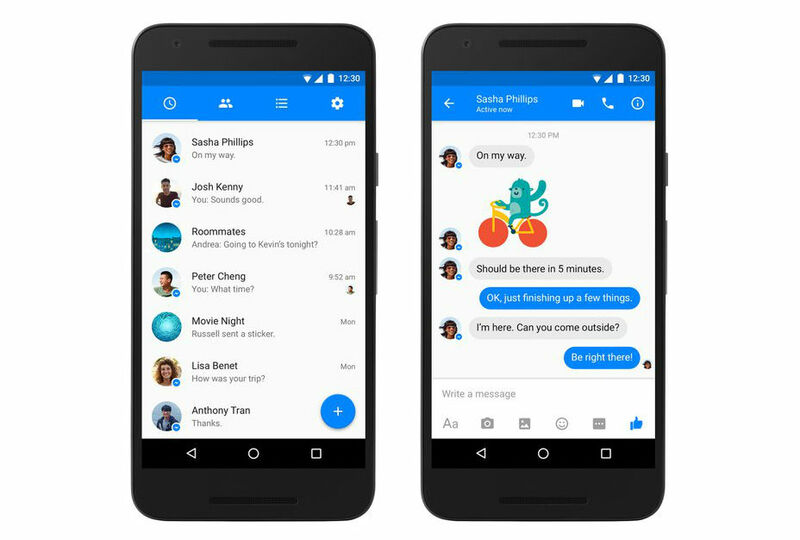 Featuring flashes of Material Design, the updated Messenger app is cleaner, and gives off an actual sense that it was created for Android users. Facebook does a poor job at explaining the changes, not even listing a changelog for the update on Google Play, but from what I can tell you with experience, users can change up the color theme of individual threads, change ‘Like’ icons to pieces of poo or other emoji, and set nicknames for individuals inside of a chat. Additionally, a new floating action bubble can start new threads easily. If you would like to get these types of updates before the general public, sign up for the Messenger beta through Google Play here. The update should be live now, but if you don’t see it yet, expect it soon.